Peter McDonald, Emeritus Professor of Demography at ANU’s Crawford School of Public Policy, said it was an “achievable” target and that a recent projection of labour market demand by Victoria University had already earmarked a similar level of demand. Mr Morrison revealed last year it’s likely the intake would remain at this new, lower level. Deloitte Access Economics partner Chris Richardson said his firm forecasted that, at this stage, jobs growth would fall short of the Government’s 2023 target. 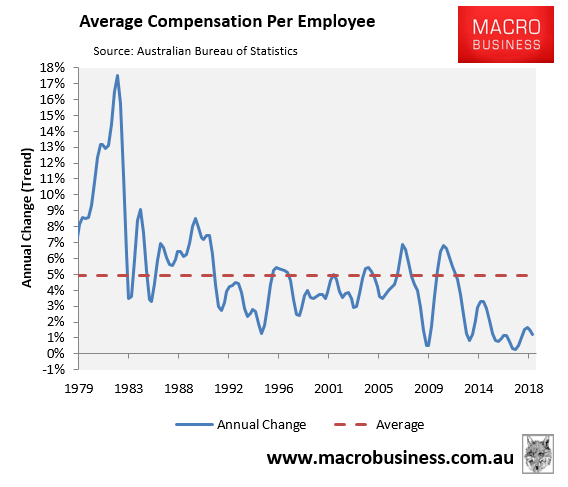 “You get, basically, growth in jobs pretty much anyway — over time, there are more Australians, that typically means more jobs, but it does get more complicated than that,” Mr Richardson said. “An ageing population means more people are retiring, that makes it harder. The Department of Jobs’ Employment Outlook, released last year, projects employment to increase by 886,100 over the five years to May 2023. Mr Richardson said the ratio of new skilled adult migrants to jobs growth was “pretty much one to one”, despite community concerns over migration fuelled by “barbecue logic”. “People think, ‘well if migrants arrive, surely they’re taking jobs and if other things are equal, that means less jobs for everyone else’,” he said. “If labour demand is strong, and permanent migration is not filling the demand, then it will come from temporary migration or New Zealanders,” he said. If migration is cut then we’ll see a shift in the patterns of demand in the economy not the end of the world. There will be less urbanisation and therefore less jobs in that area. That will result in lower interest rates and a much lower currency triggering greater offshore demand and boosting the 40% of the economy that is tradable. Ironically this will prevent any serious shakeout from hitting urbanisation sectors while rising prospects for exporters and import competers will create more jobs in those areas of the economy and they will all go to locals. When the labour market tightens enough and shortages appear then wages will rise. Fancy that! If these wage rises get excessive then interest rates will rise and job creation slow or firms invest more heavily in automation for greater productivity and the gains be shared with fewer needed workers. these are also the dynamics that will easily resolve any aging population issues. This is simply called an “adjustment”. The economy is not set in concrete (unless you’re paid by property developers to say so), it is a living system designed to compensate for such shifts. What this debate is really about is not who gets what jobs but which elements of capital win along the way. McDonald and Richardson are obsessed with supporting the immigration-led urbanisation sectors to the detriment of tradables and wider community living standards as infrastructure fails to keep up, wages are crushed by the rush of cheap foreign labour and house prices shoot to stupid levels. McDonald is a demographer not economist so has no idea. Richardson has simply lost the macro plot. Before these dills came along with their immigration voodoo Australia and its labour market fared just fine and it will afterwards as well. In fact it will be better in time as the permanent supply shock of cheap foreigners killing wages and productivity ends, boosting income. Our major banks and their executives have adopted the culture of swashbuckling, get-rich-quick cowboys. No surprise there. Their major customers are swashbuckling property speculators - both mums and dads and investors. And all of those borrowers have, along with the banks, made a motza over the last 30 years. In 1988 and 1989 the Hawke Government doubled the immigration intake and increased child endowment. Its been gang-busters ever since. Adding a new Canberra of 400,000 new people every year, makes some people very rich. Its made Domain very rich (60% owned by Fairfax Media). Elizabeth Knight writes for many of us wanting greedy banks to change ("Addicted to profits, can banks change their culture?" age.com.au 9/2). But its cause and effect. The cause is torrential population floods. We might reach 50-million in 2050 and 100-million in 2082. Or we could stabilise our numbers and re-create conservative, respected bankers. Pigs might fly.